The Graduate School Commons is located inside the building at 2122 Sheridan Rd. In September, graduate students gathered in the commons for a town hall meeting where they were invited to ask administrators questions about the National Labor Relations Board’s ruling on graduate students at private universities. The election of Donald Trump has added a new sense of urgency to graduate student unionization efforts at Northwestern. Last week, members of the group Northwestern University Graduate Workers voted to affiliate with the American Federation of Teachers and its state chapter, beginning to gather signed union cards this week. Meanwhile, students working with the Service Employees International Union are continuing a months-long card-signing campaign. These efforts follow the National Labor Relations Board ruling in August that graduate student assistants at private universities should be considered employees, opening the door for them to formally unionize. But with a President Trump in the White House, the political makeup of the NLRB could change drastically, potentially reversing the decision that spurred movements toward graduate student unionization at private universities across the country. Kevin Baker, a member of NUGW, said Trump’s victory presented a need to speed up the process toward graduate student unionization at NU. Among the 115 people in NUGW, Baker said nearly 81 percent voted to affiliate with AFT, the largest higher education union in the country, and its state chapter, while just over 19 percent voted to not affiliate with the union. University spokesman Al Cubbage said in a statement that the University is aware some graduate students chose to affiliate with AFT for collective bargaining purposes but regards graduate students as “students, first and foremost” rather than employees. 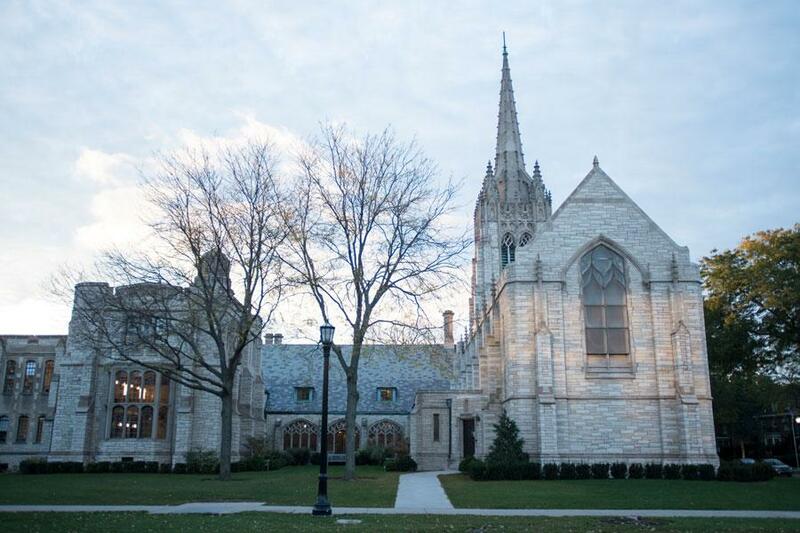 “Northwestern does not believe unionization and collective bargaining are the appropriate methods to address concerns raised by graduate student assistants,” Cubbage said in the statement. Jackson Christopher Bartlett, a graduate student working with SEIU, took issue with the process behind the NUGW affiliation vote. Bartlett said SEIU submitted a proposal to be included on the affiliation ballot, but NUGW rejected it and left them off, sending the vote out to the group’s listserv as a question of AFT or no union affiliation at all. However, Baker said NUGW had been asking SEIU for a formal affiliation proposal since October. He said they left SEIU off the ballot because the document they received from SEIU hours before the deadline “fulfilled none of the standard requirements” of an affiliation document. Bartlett said AFT was provided criteria for the document that SEIU did not receive, but Baker denied that, saying an affiliation proposal is a standard unionization document and that SEIU’s proposal did not reference affiliation at all. At issue is a difference in strategy between the two labor unions. For instance, Bartlett said it wasn’t part of SEIU strategy to seek affiliation with NUGW. In October, SEIU and AFT participated in a debate held at Evanston Public Library, where representatives from both organizations highlighted other differences between the approaches. While SEIU began pushing out union cards for graduate students to sign soon after the NLRB decision, AFT waited. Baker said NUGW began a “full-fledged card campaign” this week after its affiliation vote and that, for AFT, card-signing typically comes after the union forms a “relationship” with workers. To request a formal union election with the NLRB, a union must obtain authorization cards from at least 30 percent of the bargaining unit. While some graduate students prefer AFT’s structure of smaller, more localized bargaining units, others favor SEIU because the union has experience working with non-tenure eligible faculty at Northwestern. A non-tenure eligible faculty union election at NU, organized by SEIU and filed for in June, was stalled this past summer by a number of contested ballots. SEIU and AFT have both worked to organize graduate students at other private universities in Chicago. Graduate student assistants from Loyola University Chicago, organizing with SEIU, announced on Thursday that they will file for a union election, according to a news release. They are the first graduate student assistants from the Chicago area to vote to unionize after August’s NLRB ruling, the release said. At the University of Chicago, graduate students formed a group in 2007 that has negotiated with the administration for improvements to healthcare benefits and parental leave policies, as well as increased pay, among others. The group called Graduate Students United made a similar move to the Northwestern group in voting to affiliate with AFT. The climate for organizing changed after the August NLRB ruling reversed a 2004 decision establishing that graduate students at private universities do not qualify as employees because of their “primarily educational” relationship with the school. Four years earlier, the NLRB board had ruled that graduate students at New York University should be considered employees. The volatility of this labor standard is dependent on the current political leanings of the NLRB because the majority of members are appointed by the sitting president. When Trump is inaugurated, graduate students seeking unionization at Northwestern will have to factor in the potential of yet another NLRB reversal on whether they are considered employees.